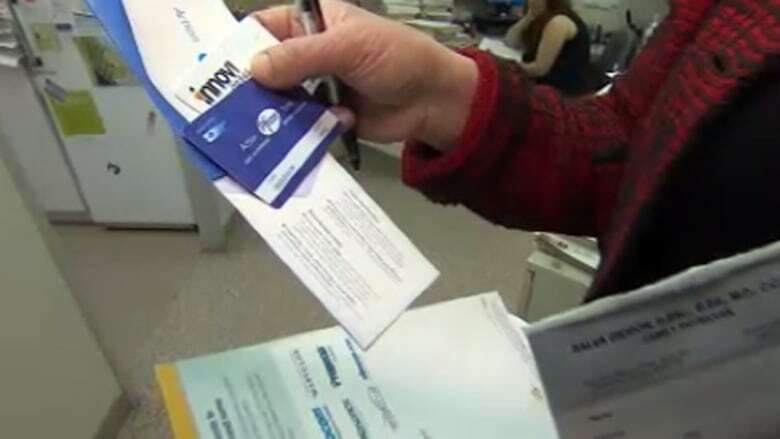 Doctors are handing out drug company "payment assistance" cards along with some prescriptions so patients can get brand-name drugs supposedly at generic prices. But some patients are paying extra costs out of their own pocket. Pssst! Want brand-name prescription drugs at generic prices? It's a sales promotion that's happening right in the doctor's office. Increasingly, physicians are handing out drug company "payment assistance" cards along with the prescriptions they write. "Success is when you get doctors selling the product for you," said former pharmaceutical representative Michael Oldani, now an associate professor of medical anthropology at the University of Wisconsin-Whitewater. He says the purpose of the cards is to promote the sale of brand-name prescription drugs over generic alternatives. More than 100 brand-name drugs are now covered by payment assistant cards in Canada, including many of the best-selling statins, anti-diabetic drugs and birth control pills. The patients present the card to the pharmacist when they're having a prescription filled. The card cues the pharmacist to fill the prescription using the brand-name drug, even though it can cost much more than the generic version. At one Toronto pharmacy, brand-name Lipitor (10mg/90 pills) sold for $168.83 while the generic version, atorvastatin, cost $28.24. In theory, the drug company is supposed to pay that cost difference. But in practice, sometimes the drug company never gets the bill, because some company insurance plans pay the full cost of the more expensive brand-name drug if a doctor specifies its use. In reaction to the cards, many insurance companies now refuse to reimburse patients for brand-name drugs when there is a generic alternative. To get around that rule, doctors are encouraged by drug company sales representatives to write "no substitutions" on the prescription. The pharmacist is then obliged to follow the doctor's orders. If the drug plan doesn't cover the entire cost, the pharmacist then uses the card to bill the drug company. But increasingly, patients are paying some of that extra cost out of their own pocket. That's because drug companies have started to cut back on the amount of rebate they will pay. "Some companies can't offset the whole difference and make any money," said Craig Martin, from Cameron Stewart LifeScience, a Mississauga, Ont.-based company that manages the cards for more than 40 drug brands. "Now the patient might have to co-pay, if they want to stay on the brand." 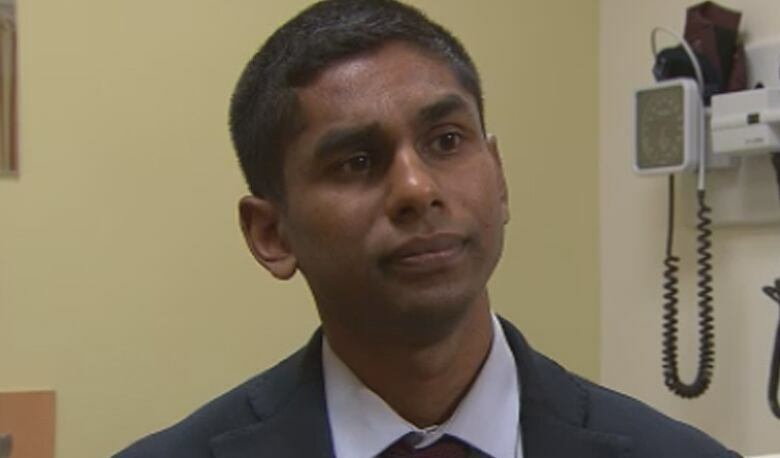 Dr. Nav Persaud, a family doctor and researcher at St. Michael's Hospital in Toronto, is one of several physicians who object to doctors being recruited as part of the pharmaceutical sales force. "They have very cleverly engineered a situation where they just hand these cards to health-care providers like doctors or nurse practitioners and then the doctors and nurses hand them to patients," said Persaud. "So there is that built-in endorsement. The pharmaceutical companies are nowhere to be seen." At his Toronto clinic, Persaud refuses to see the pharmaceutical sales people who give out the cards. "The pharmaceutical companies are not making a charitable donation when they hand out cards," he says. "They're definitely planning to turn a profit. It's part of a marketing strategy." It's a marketing strategy intended to salvage some market share for brand-name drugs whose patents have expired. Now that many of their best-selling blockbuster drugs face generic competition, large pharmaceutical companies are scrambling to keep up. Some doctors see an advantage here, too. Dr. Salva Gideon says the cards allow her to keep patients on drugs that are already working for them without having to monitor which generic substitutes pharmacists are giving them. "The product I'm going to prescribe to them, I've already studied it, I know it inside and outside," she said. "So when these cards come, for sure I'm going to try harder for my patients to give them the card so that they are getting what they should be getting." Gideon also realizes that sometimes her patients are being charged out of their own pocket to stay with a brand-name medication, and she's concerned about the impact that can have on her elderly patients. "If they have to pay $5 a month for a bunch of different drugs, that can come up to $60. Even though $5 may sound like nothing, for some patients it is a problem," she says. Another problem is that when insurance companies pay for brand-name drugs over lower-cost generics, that adds billions of dollars to the costs of private drug plans. And those costs are eventually passed on to employers and employees. "It's a hidden cost that people don't see," said Marc-André Gagnon, an assistant professor of public policy at Carleton University in Ottawa. In a study published earlier this year, Gagnon wrote that private drug plans in Canada "wasted $5.1 billion in 2012," in part by paying for higher-priced drugs rather than generic equivalents that can provide the same health benefits. Last month, a study in the Canadian Medical Association Journal reported that Canada could save $8 billion by creating a national pharmacare program that would cover drug costs for all Canadians. The savings would come from deploying generics where possible and using its buying clout to negotiate lower generic prices. These payment assistance cards are available from doctors and pharmacists, and they are also promoted directly to patients through TV and other advertising. The cards are marketed as a way to give patients a choice to remain on brand-name drugs, said Cameron Stewart LifeScience's Martin. He says pharmacists were automatically filling prescriptions with generic versions, without offering patients a chance to stay on the brand. Most provinces, and many private drug plans, require generic drugs be substituted for brand-name drugs where possible. "We thought maybe there's a way to bring patients back into the decision-making process. We did some market research, and patients said, 'If it didn't cost very much, I'd choose to stay on the brands that I know.'" Because the card is entered into the pharmacy computer, along with the patient's personal information, drug companies have new access to information about which patients are using their medication and how to contact them. "I think that's one of the most important things," said Oldani. He said it's a chance for drug companies to get data about individual patient drug use that they've never had before. Until now, the industry has only been able to gather data on which drugs individual doctors prescribe, he said. Gagnon says patient information about health conditions, prescription and dosage gives drug companies a way to influence patient drug choice through direct contact. Pfizer Canada tells patients, on its website, that the company will use the personal information to "offer updates on our products." It also says personal patient information "may be shared with service providers ... and may involve the storage or processing of personal information outside of Canada." Persaud says the drug cards create the perception that there's a difference between brand-name drugs and their generic alternatives. "The actual medications are the same, they are molecularly the same. In some cases, they're made in exactly the same factories," he said. "They're made in the same parts of the world, they're distributed in the same way, and they meet the same standards here in Canada."